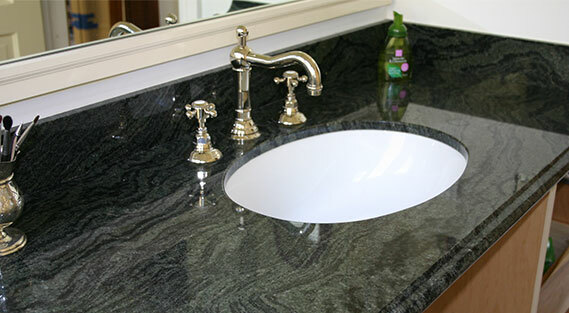 Turn off your search mode when you come across West Coast Marble & Granite, a reliable vanity tops supplier in Perth. As its application is mostly felt in bathrooms, we offer natural stone vanity tops that score high not just in functionality but also in aesthetics. Who said bathrooms are dull and boring? With the right natural stone vanity tops, you can now completely transform the look with something classy and convenient. Gear up for solid surface tops that appear expensive but are well within your budget. Make your purchases of glamorous bathroom benchtops in Perth from us and get a chance to select from a wide range of colours. Combine them with a good basin to bring out the best in your bathroom decor.